Welcome Stranger, artist publication by George Korsmit and Saskia Janssen. During a residency in New York, Janssen and Korsmit worked in close collaboration with the residents of Peekskill, a small town to the north of New York City. Based on the African-American history of Peekskill and against the backdrop of the current political climate in the USA: the Black Lives Matter movement and the rise of Donald Trump, they created a work in the public space and five wall paintings in the apartments of Bohlmann Towers in close collaboration with the tenants. This publication documents the time they spent working in Peekskill and the works they created with the residents. Welcome Stranger; 64 pp. color, text: Saskia Janssen, translation: Andrew May, graphic design: Jaan Evart, ISBN: 978-90-818783-3-3. 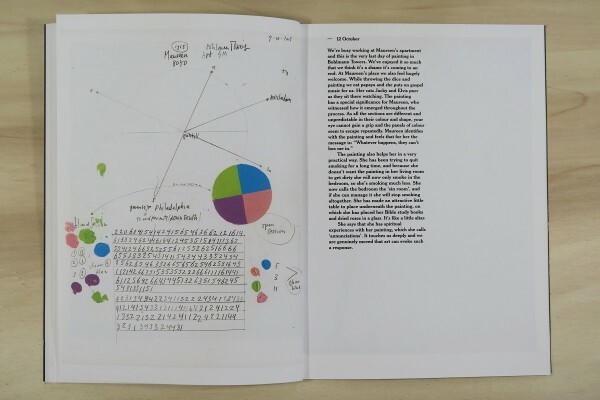 Book launch at Ellen de Bruijne PROJECTS 9 Juli 2016, 17.00 – 19.00h – publication available at Ellen de Bruijne PROJECTS, San Serife and the Hudson Valley Center for Contemporary Art, NY.